bloggers who manage their full time jobs with blogging *respect* Recently I got my hands on the new limited edition TBS collection, I call it ‘doll collection’ since the packaging is so barbie like! Here I’m starting off the reviews with the best the range has to offer. Pick one, two or more shades to blend and create your own look. 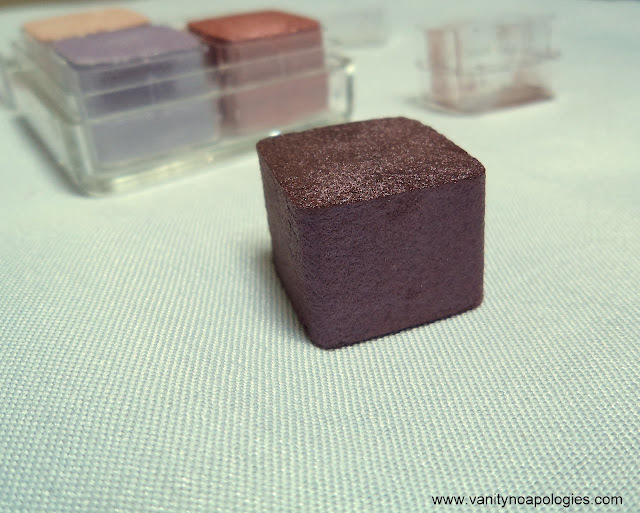 Shimmer cubes come in a range of iridescent pinks and lilacs. Think Pink, Live Lilac, Go Violet and Tint in Pink. Crease resistant and suitable for lens wearers. The shimmer cubes come in a clear plastic container. The square cubes have individual lids on them too. 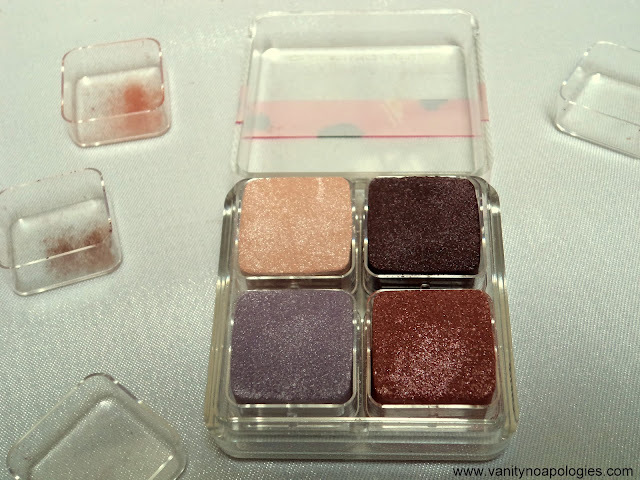 The size of each shimmer cube is gigantic…..literally (see the photos below). Each cube weighs for 3.5g so I think I will be passing this to my grand children too! The cubes are detachable from the container and can be carried individually. I’m planning to keep Tint it Pink in my hand bag since it can multi-task as a highlighter for cheeks and decollete. These are 4 shades in the palette. The whole palette is built around this pinky-plum theme. The eyeshadows can be used both dry and wet. 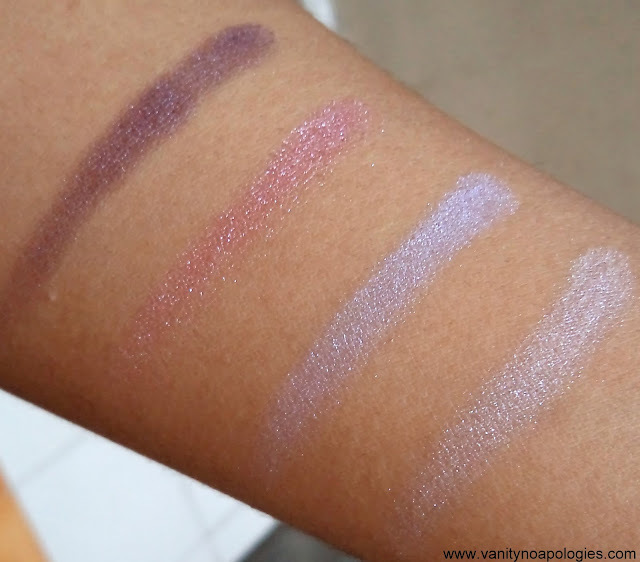 I have swatched them here dry without primer since the pigmentation was good that way too. But I do plan to use Go Violet wet as an eyeliner. The colours are quite blendable and easy to use. I like that there there is minimal shimmer. Its just the camera catching up on the shimmer in the close up photos but in reality all you see is a metallic finish without any disco ball effect. All the colours have the same texture and formula and the are very easy to build up if you want to go for day to night looks. The colours last on me for some 4hrs without primer and I notice some creasing by the 5th hour. But with a primer I’ve tested them for a good 8hrs without fading and creasing. I love that there is no weak link in the quad since all the shades are perform great individually too. My only issue with the quad is that its difficult to carry it everywhere since the plastic lid is sealed with just a thin tape and just I can’t risk ruining the shadows. So is it for you? By now you must be clear about the concept of shimmer cubes. All the 4 cubes in the quad are rich in pigmentation and last for 8hrs without creasing with a primer. 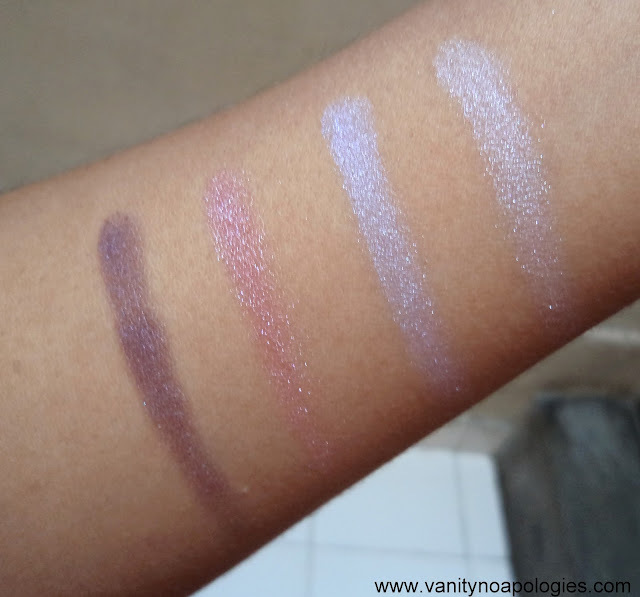 The pigmentation can be built up for night looks and the shades can be applied wet as eyeliners too. The quad is pricey but the quality and quantity more than makes up for it…..this is here to stay with me for years! 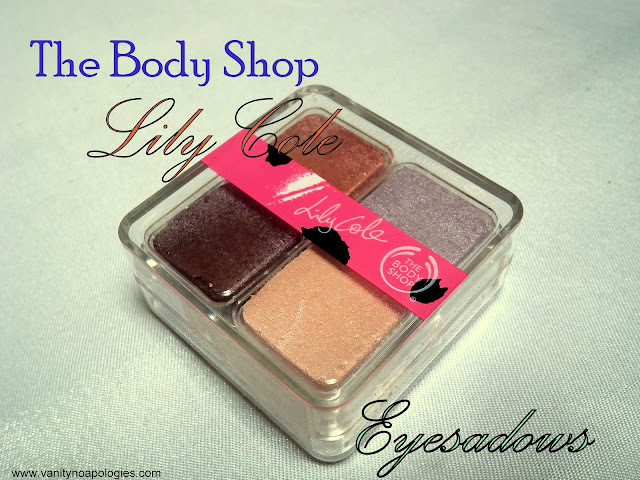 The Body Shop Lily Cole High Shine Lip Treatment – Go Naked! my! that cube is so pretty! nic i lyk the voilet 1 but 2 costly hai na??? У нашей фирмы классный web-сайт про направление система автополива.